Spring arrived tentatively this year, but it feels like we’ve really turned the corner now. The grass seems to have greened up over night and lots of seedlings are breaking through the soil. 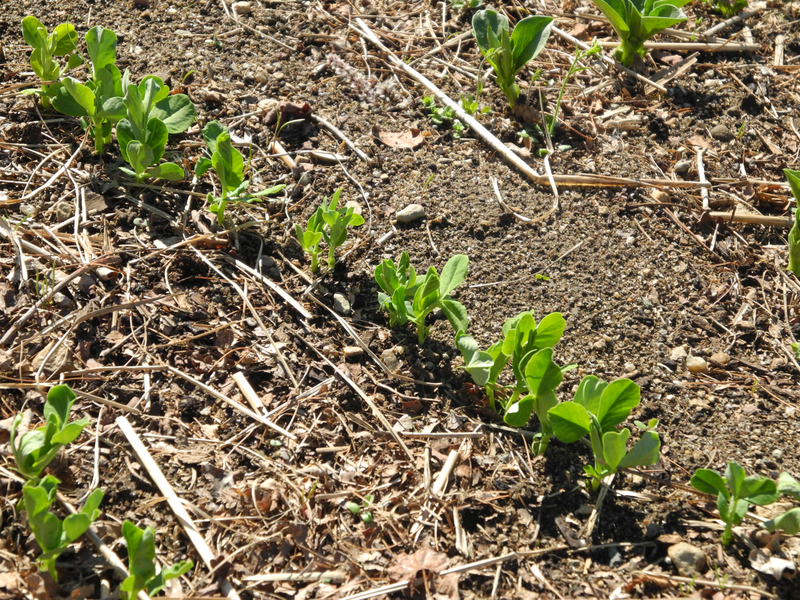 The peas and fava beans are all up and growing. This is my first time growing favas and I’m really excited about them. When I lived in New York I used to get them from a lady at the Union Square farmers market but I never see them at the markets here. 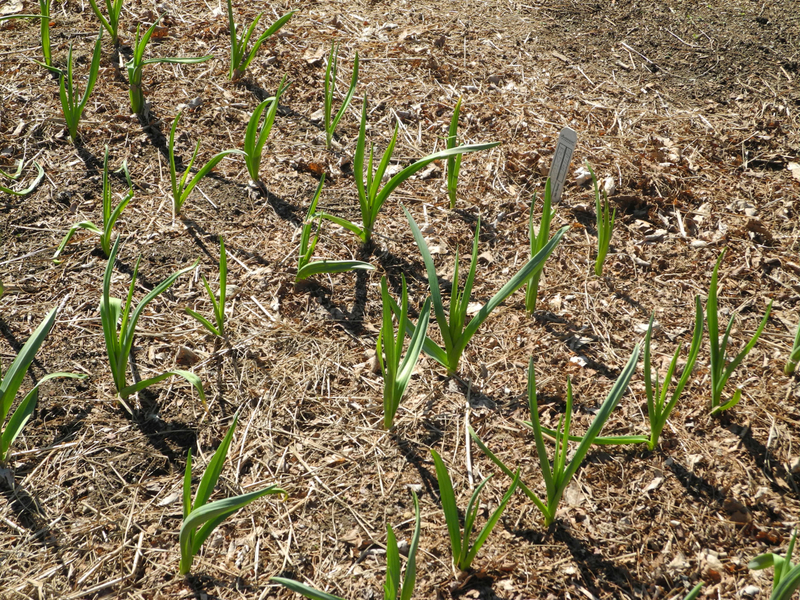 The garlic seems to be taller and greener every day. I’m so looking forward to having fresh garlic to eat. I’m at the end of last year’s supply and it’s looking pretty sad. What I’m most excited for right now is rhubarb. I just can’t get over how much it grows every day. In a few weeks I’ll be enjoying stewed rhubarb with my morning yogurt. I can’t wait! Posted on April 21, 2013 by kate. 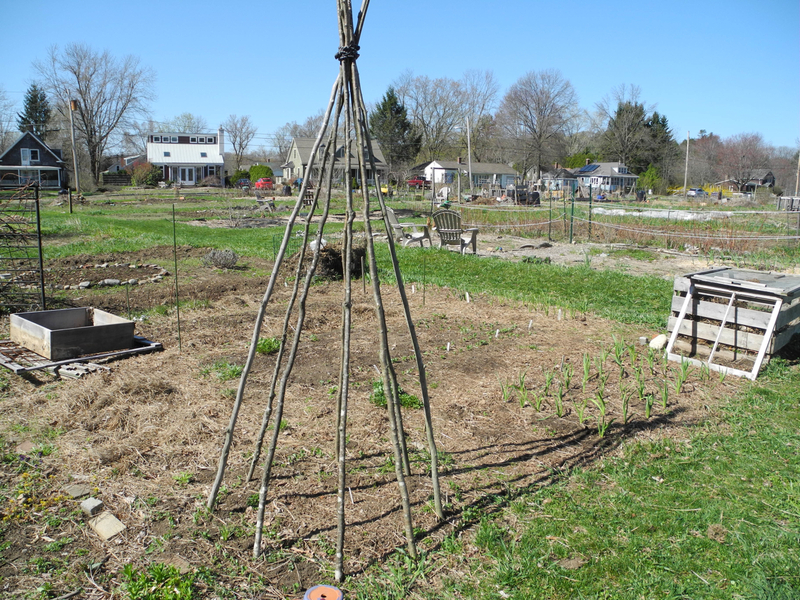 This entry was posted in Gardening and tagged April, fava beans, gardening, garlic, Peas, rhubarb, seedlings, spring. Bookmark the permalink. Hooray for asparagus! This is year three for my rhubarb. Last year I was able to harvest a couple pies worth, so with any luck you’ll have some to pick! 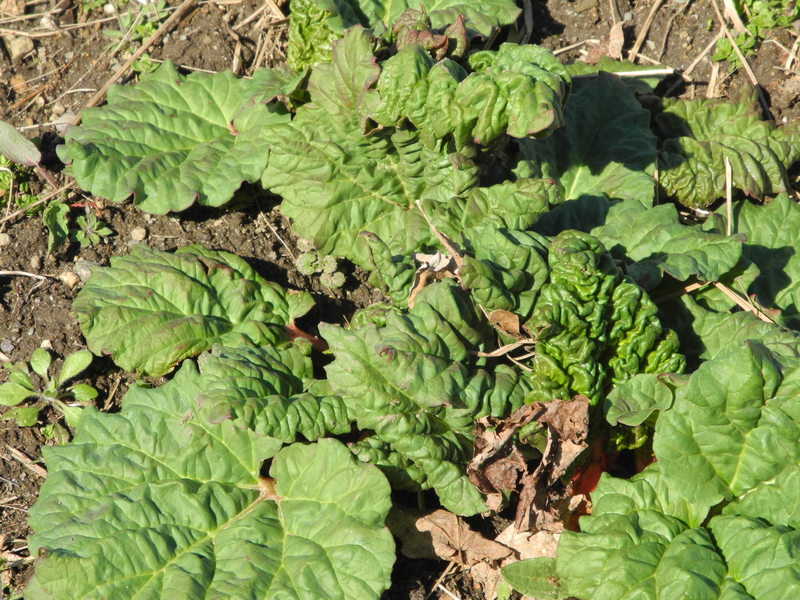 Our rhubarb is up also. Do you have a recipe for your stewed rhubarb? It’s not really much of a recipe, I just cut up the rhubarb into 1 or 2 inch pieces and simmer it in a saucepan with a couple tablespoons of water and some sugar (or honey or maple syrup) until it’s soft. Delicious with vanilla ice cream or yogurt! Your garden is off to a great start. Our raspberries have green leaves, but we’re still waiting to see how the asparagus fared after a long winter. Yeah for greening up!!! Looks good.